These projects took one afternoon to complete, not including shopping for the materials. But let’s talk about one of the most exciting parts: THE SHOPPING EXPERIENCE. Sometimes, I surprise myself at how giddy I get about going to find all the parts! 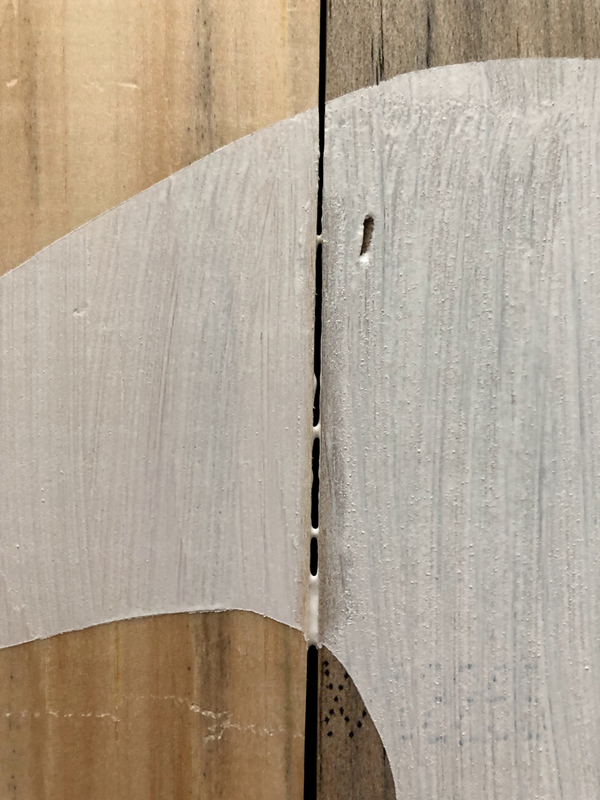 Thing #1: Not all wood is created equal. Make sure you inspect each board for any flaws that might either weaken your design or in this case, not match. 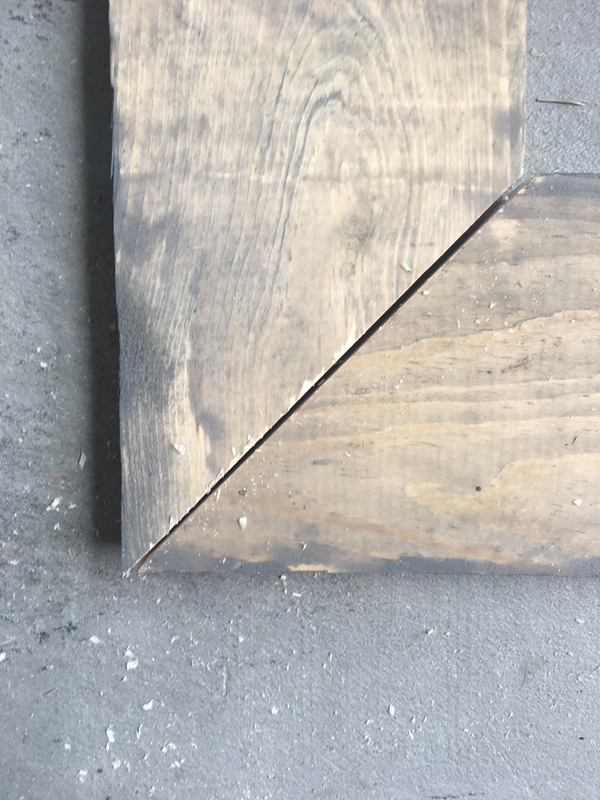 You can see that the distressing of the wood varied from piece to piece. I had to be choosy about what came home with me! 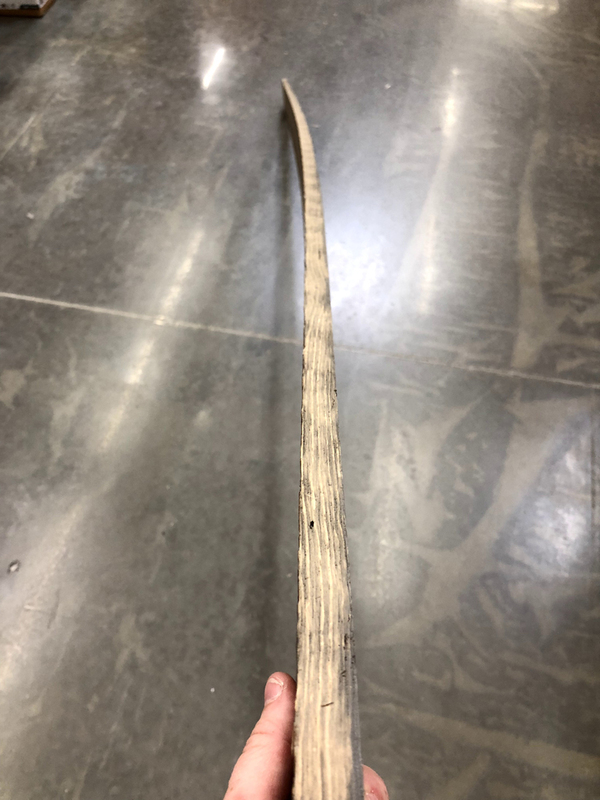 You definitely don’t want to come home with a piece of wood that is shaped like a hockey stick! It’s hard to work with and won’t give you a great fitting frame. I hold the beam straight out in front of me to check for warping. Pick the straightest pieces you can find. The longer the board, the higher the risk of warping. 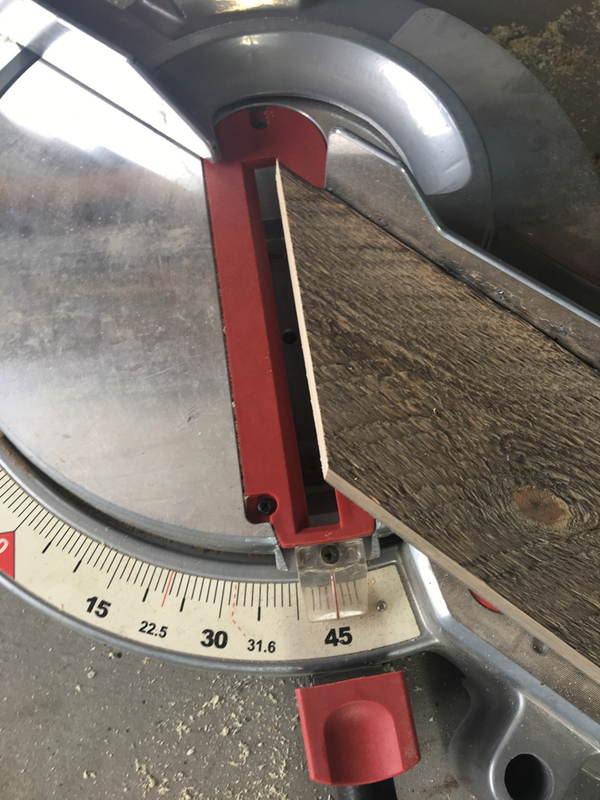 When boards get up to 12’ long, they can be a bit of a challenge to find a straight piece. I tend to opt for the 8’ boards as a good middle ground. 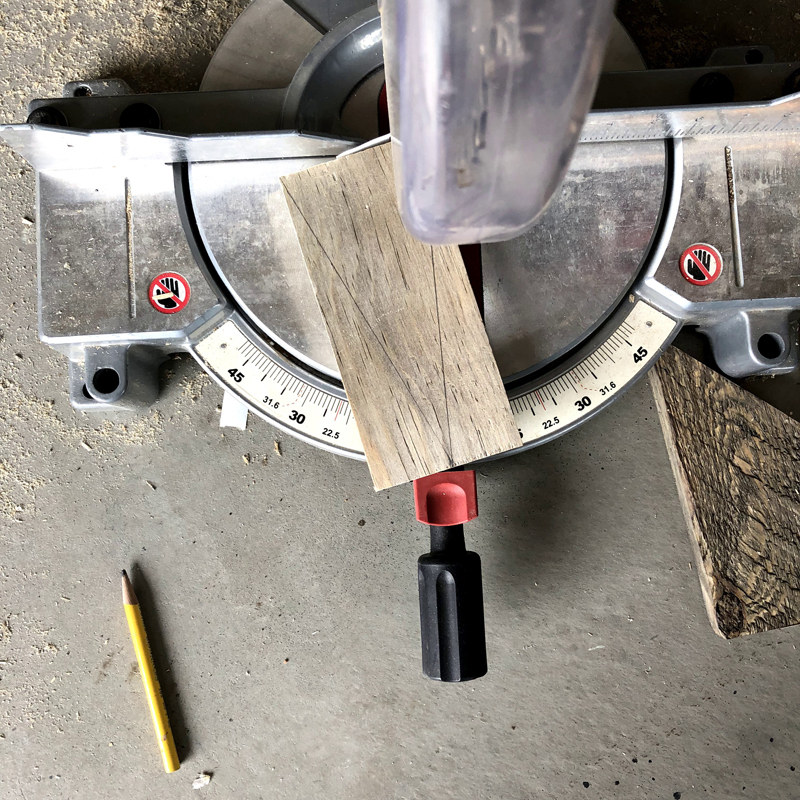 If you’re like me, I want to feel 100% when I’m about to cut my wood so I always mark it with a pencil. 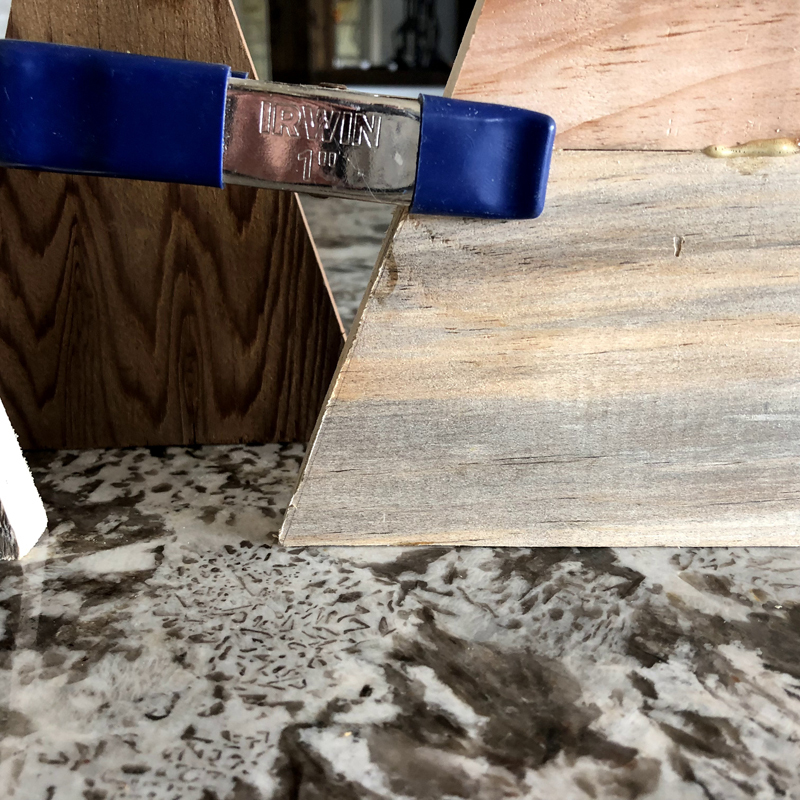 This helps me know I can follow the line – even though a Miter Saw helps you do that fairly easily. I like a good backup! I cut my pieces down into two 24” lengths and two 36” lengths. 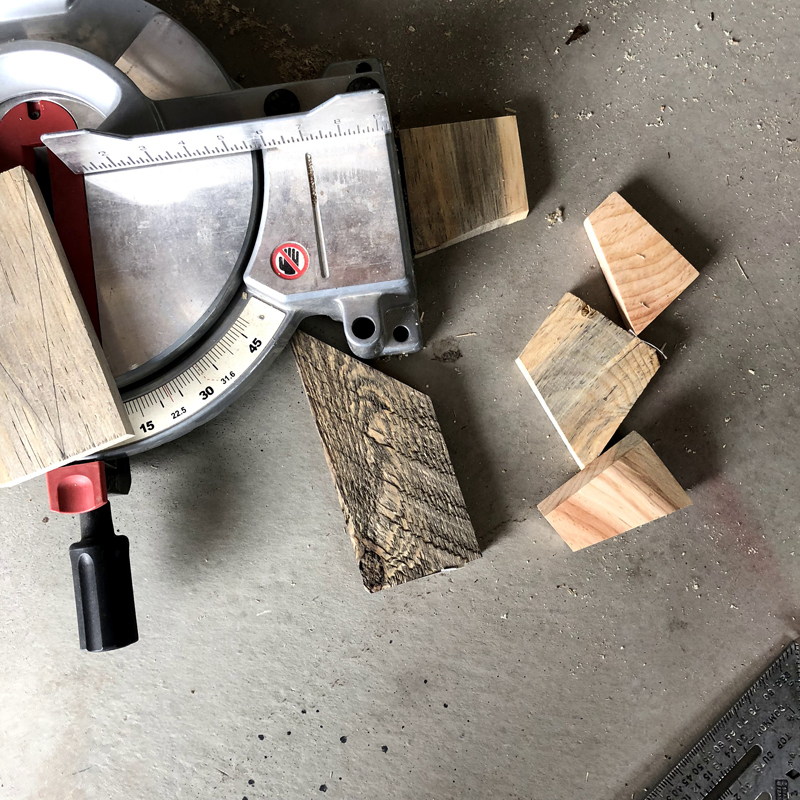 Then, I was ready to cut my angles – this is the tricky part. 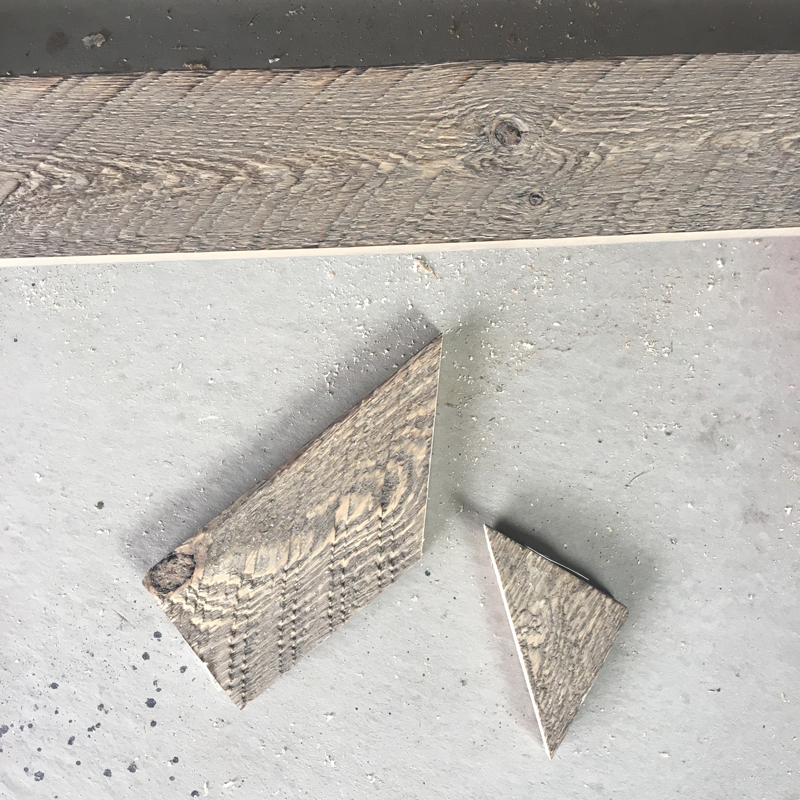 Next, no surprise here - cut your wood at a 45-degree angle. Now, put aside your scraps. We’re going to use them for our final project! Rinse and repeat for all 4 pieces. I made my frame 24”x 36”. 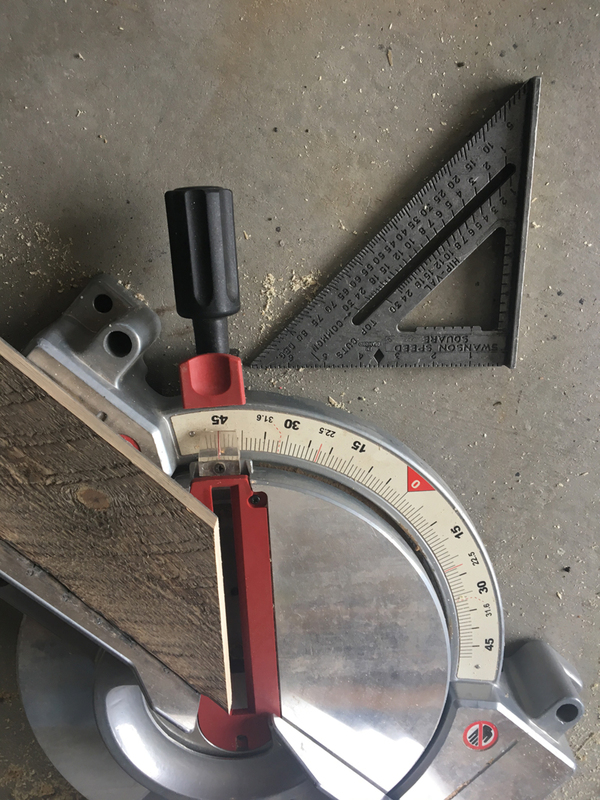 This means that I also measured out the length of my pieces as well as the angle of my wood. You will cut 8 angles. After your cuts are all made, flip your pieces to the back side, and line up one 24” side with one 36” side. MAKE SURE YOU’RE MATCHING UP THE RIGHT PARTS. That shout-out was mostly a reminder to me, but just like they say in sewing, woodworking is the same, measure twice and cut once. 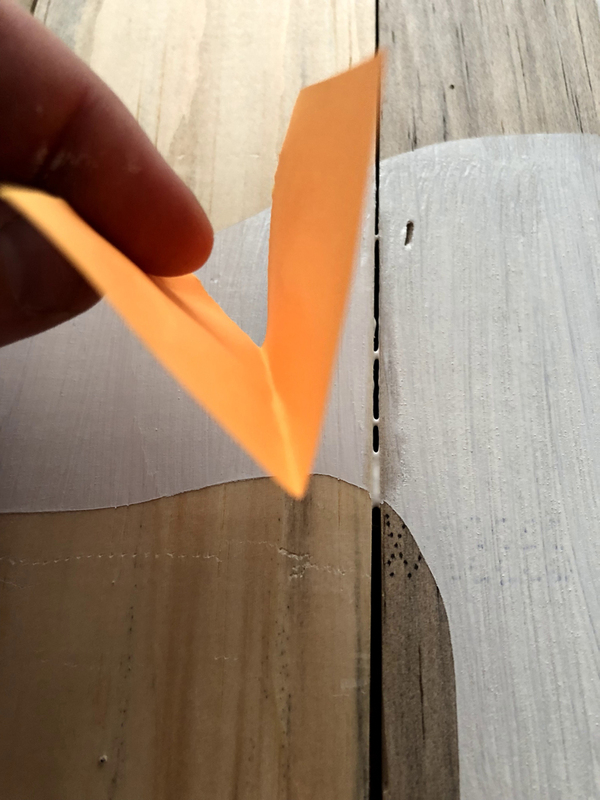 If you are wanting to make sure your frame stays together, you can opt to add some wood glue into the seams. For me, I don’t like to use a glue on my frames. And don’t forget to double reinforce. 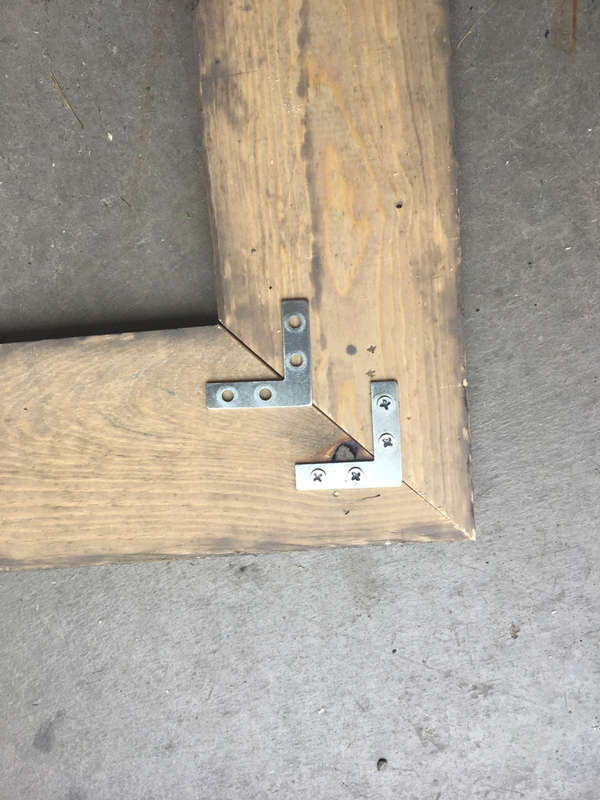 I put two L Brackets on my frames to better secure them. 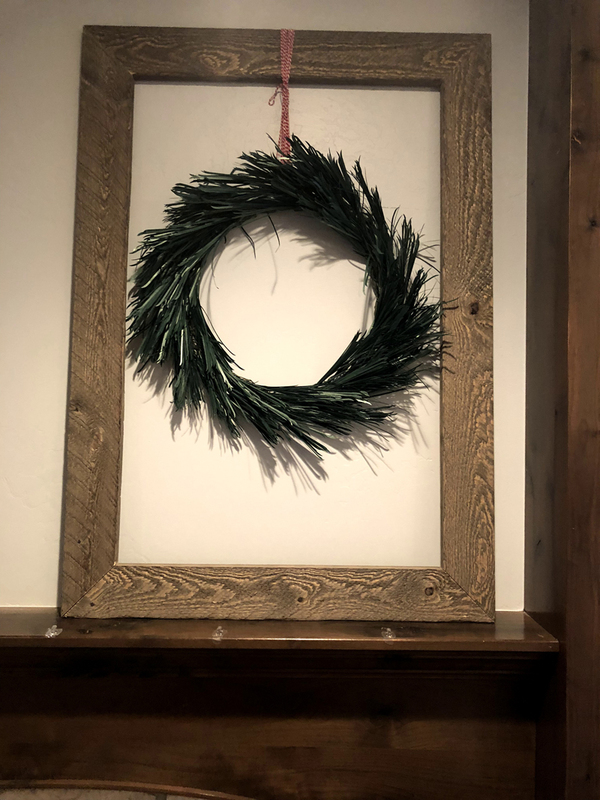 Finally, hang your wreath! I used a pine needle wreath in the middle of mine hung with red and white striped twine. Take your wood beams and cut them down to equal sizes. My sign is 30”x 30”. 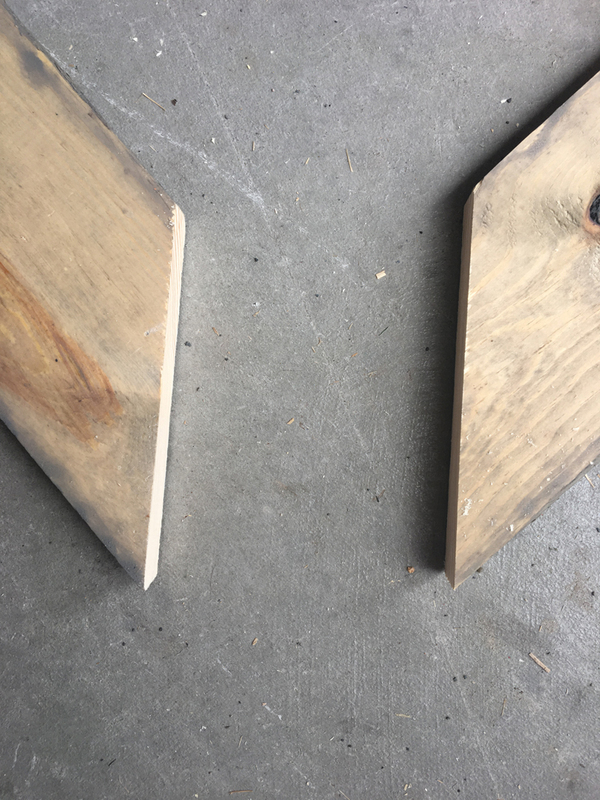 I measured my pieces and was able to get 3 pieces from each of my boards. Remember, draw your pencil line across your cut to help guide you! I reinforced the back of the sign with two 1”x 4” beams that I had leftover from another project. 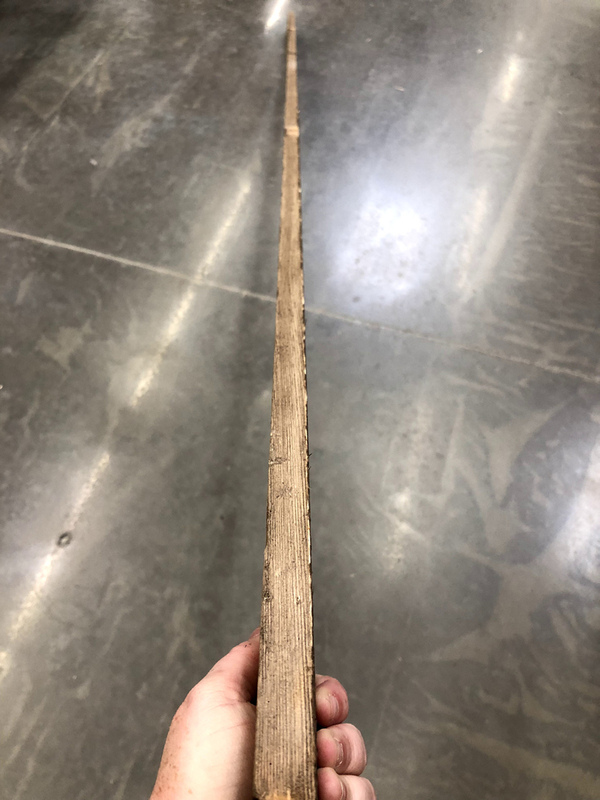 If you don’t have any scrap wood, you’ll want to pick up a piece. Don’t get anything expensive as it’s on the back of your sign and won’t be visible. 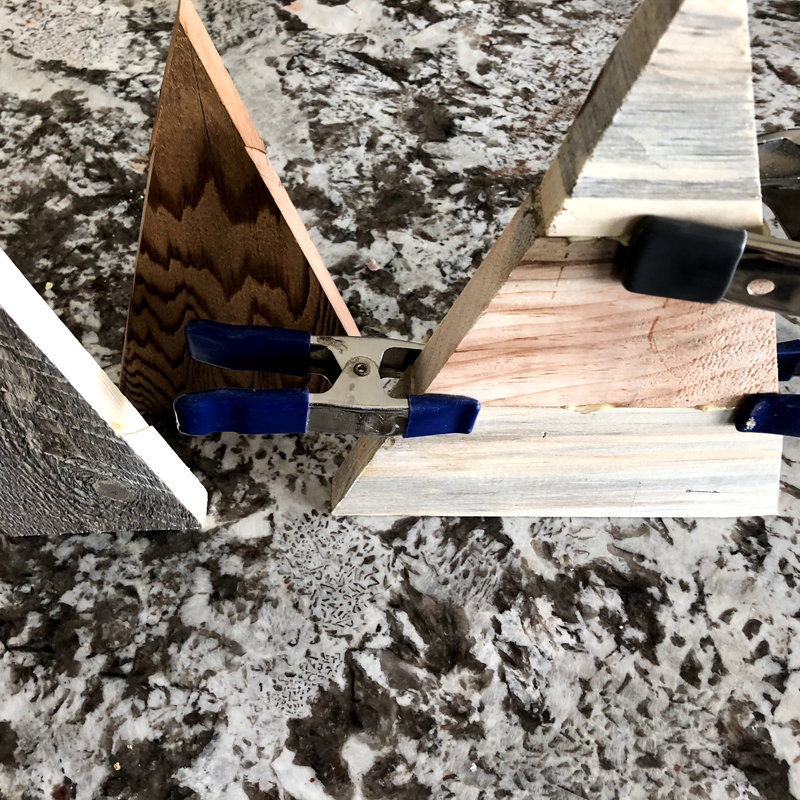 You can simply screw each cut into your mounting pieces. 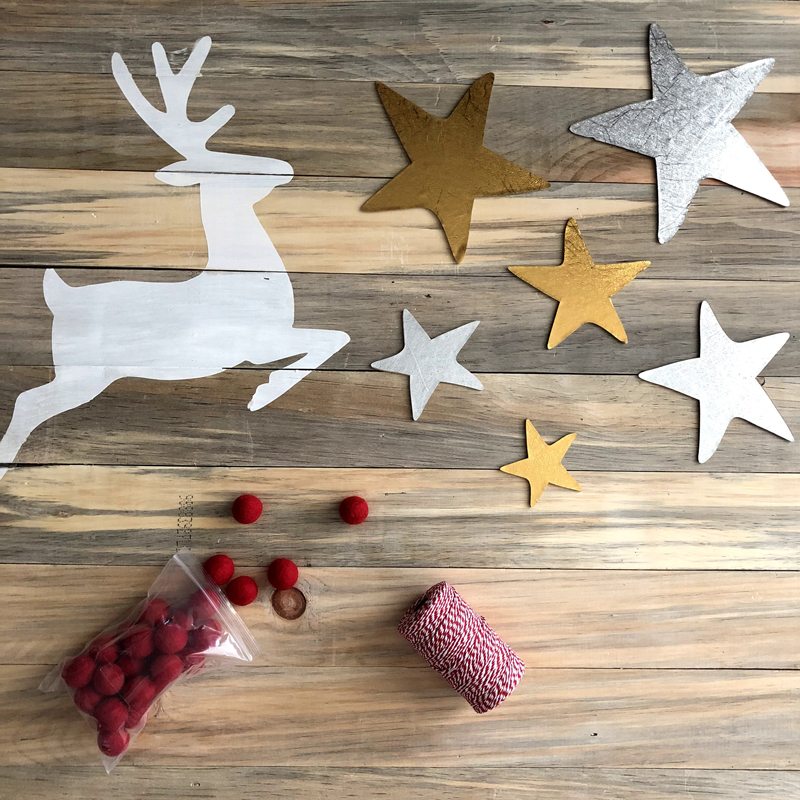 Step 1 – Lay out all your pieces to get an idea of where to place your reindeer. I always like to get the painting out of the way before I start on any other areas of a project. 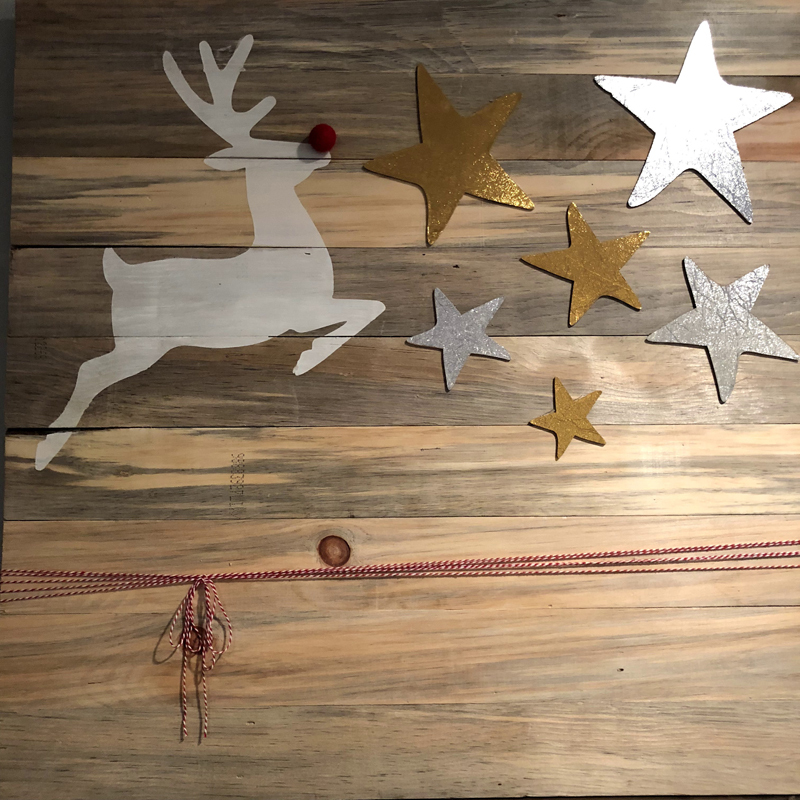 After figuring out my arrangement, I added the stencil for my reindeer and painted Rudolph on! 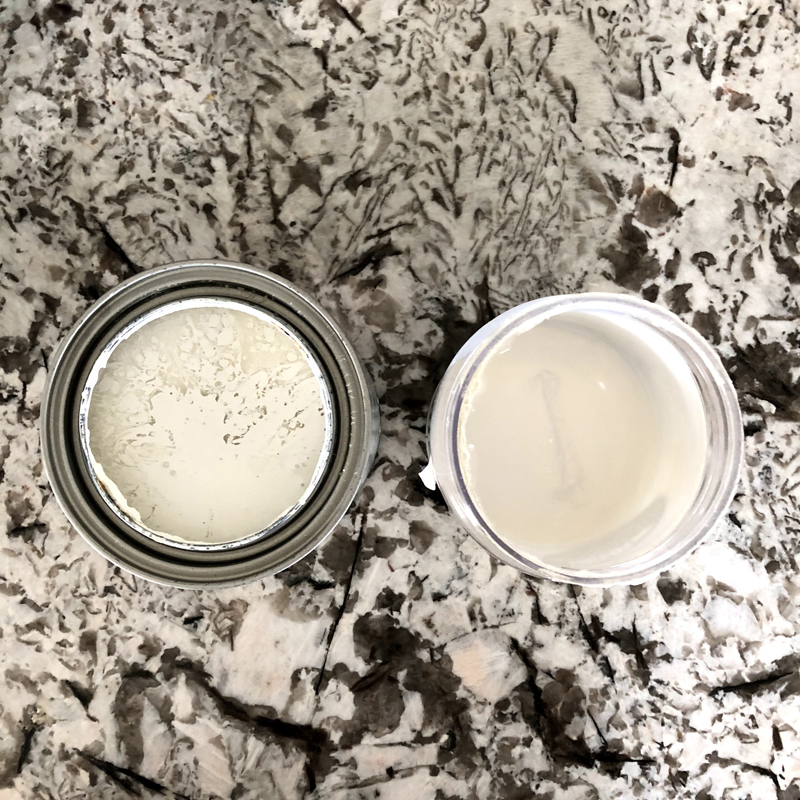 Step 2 – Use a shimmer glaze after your paint dries by simply leaving your stencil in place and painting over your original white coat of paint. A shimmer glaze adds a really subtle, refined shine to your paint. Step 3 – Use a cotton swab to help draw out any paint blotches or small pools. 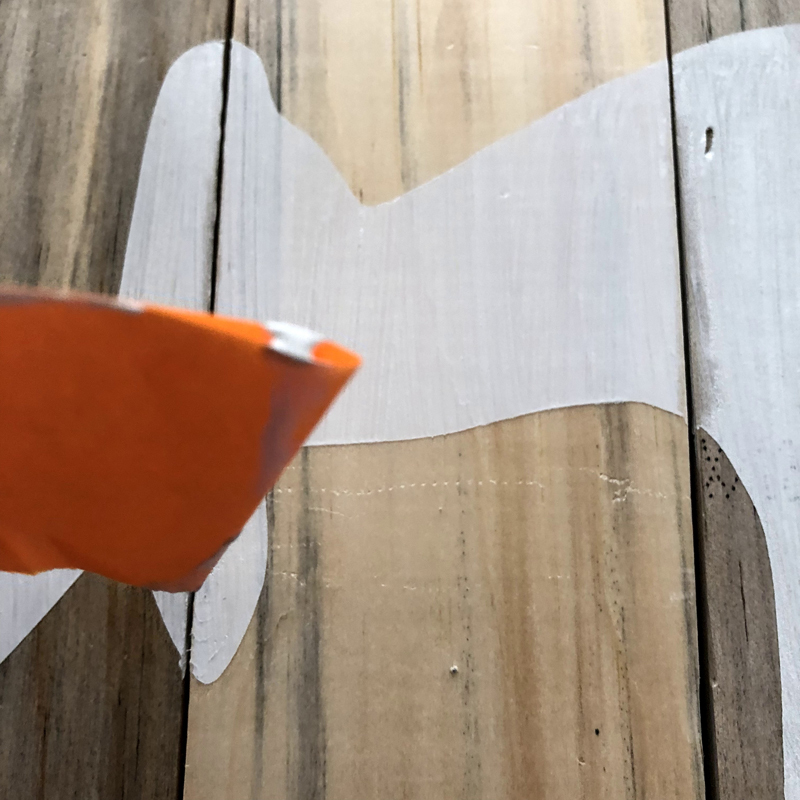 Be careful not to smudge it, but if you accidentally do, you can always use a piece of sandpaper to sand the paint off your wood in unwanted places. Step 4 – Clean up the drips in the gaps. I use a folded piece of paper and then pull it along the gap to clean out any unwanted drips or globs of paint. Here’s a quick 5-second video to show you how to do it. Step 5 – Add your embellishments! This is the fun part. I added a red felt pom pom for Rudolph’s nose (I really like a little texture and a little 3D!). I hot glued the stars. The stars are made from Chipboard and Textured Vinyl to also give the project more depth. Finally, I tied the same twine from my wreath on the backless frame to wrap around this project at the bottom. If I was using as a standalone sign, I would have also added a phrase in the bottom right corner, most likely! As it was part of a collection, I didn’t need it. The final project is quite simple. You’ll want to dig through your scraps to select the right ones. 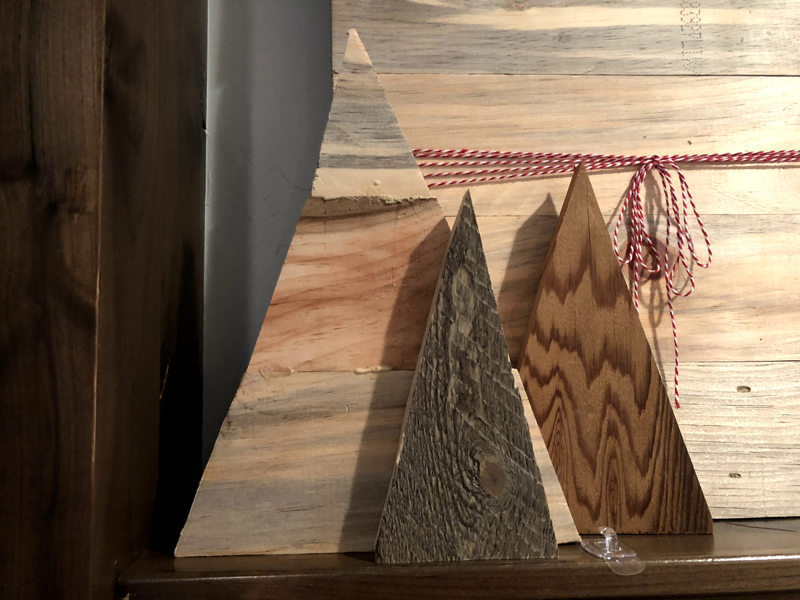 Look for pieces that can be cut into triangles – even if they’re taller, more slender one. 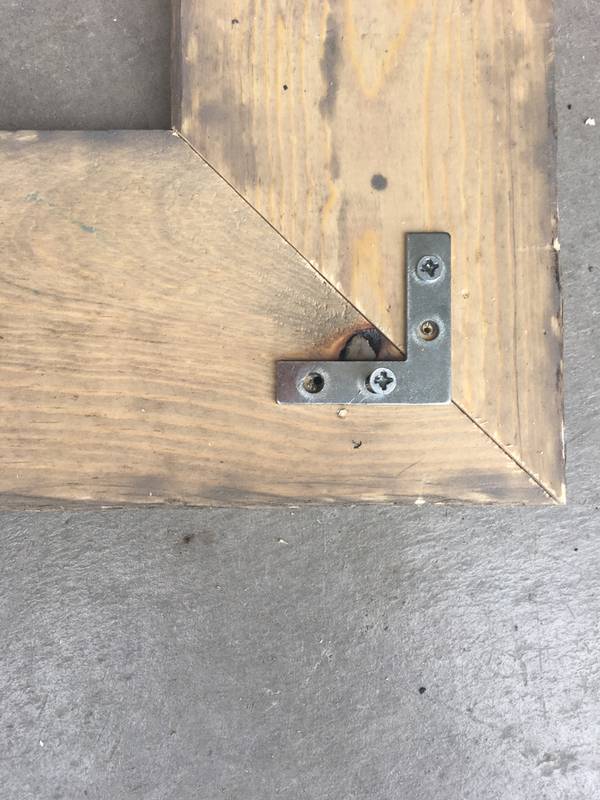 I also looked for pieces that could be put together to create a triangle by trimming an angle across a larger, longer piece. 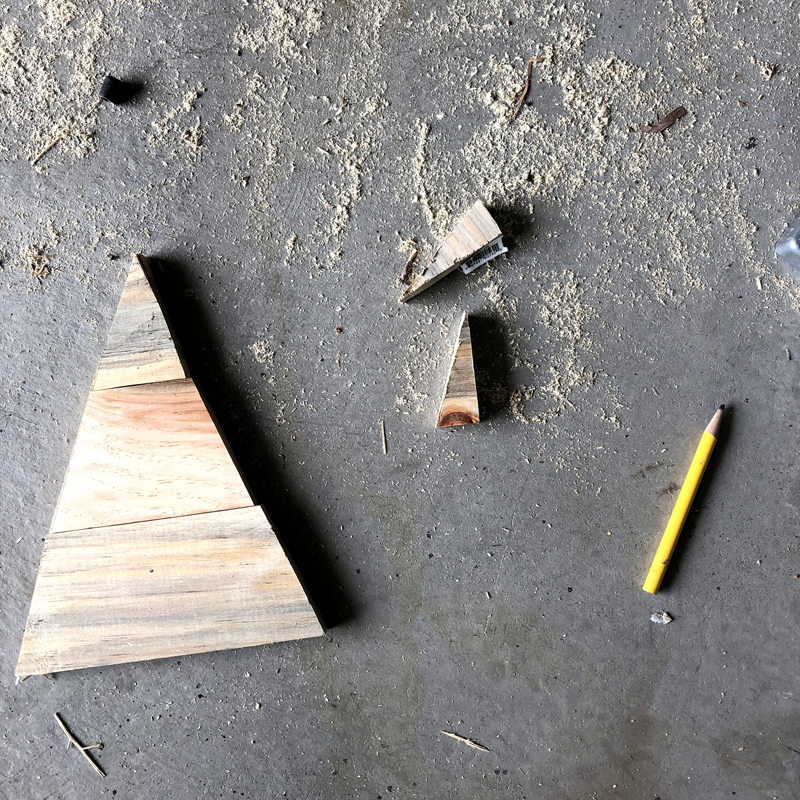 Next, I’ll sound like a broken record – draw your triangle onto your piece of wood. 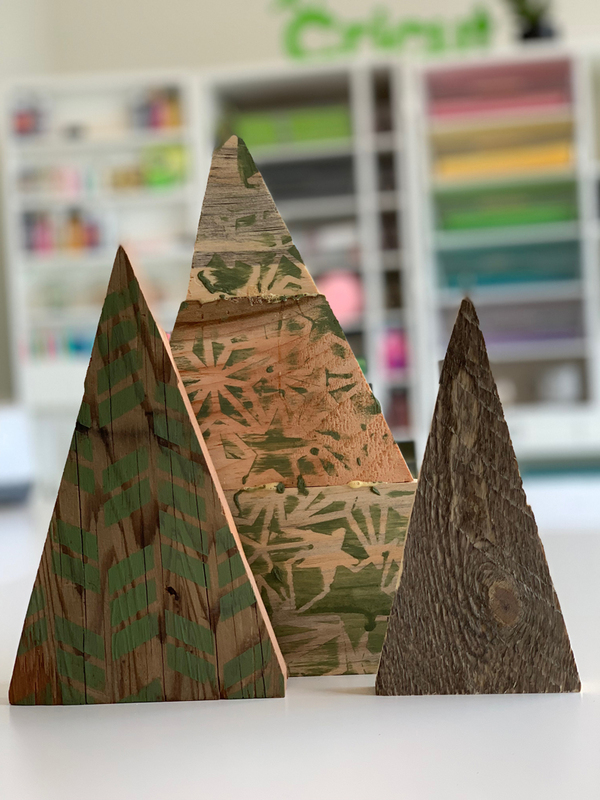 Put together your scraps into tree forms. 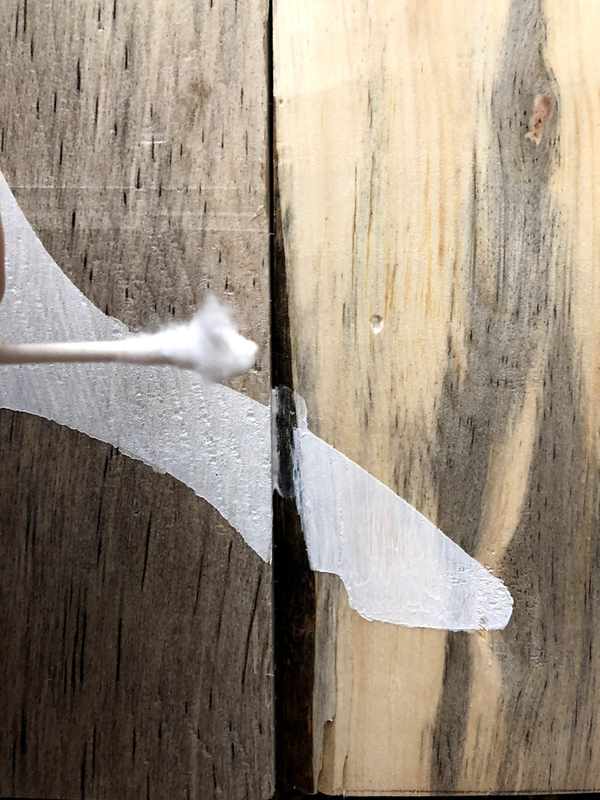 If you are gluing multiple pieces together, be sure to give them a healthy dose of wood glue. Now, they’ll need time to dry. I hold mine in place with clamps during the drying process. Let them dry longer than you think it will take! I hate when I try to work with them too soon and then I can’t ever get the glue to stick. If you’re impatient (ME! ME!) then pick up the fast drying glue! Your trees are now prepped and ready for staining. 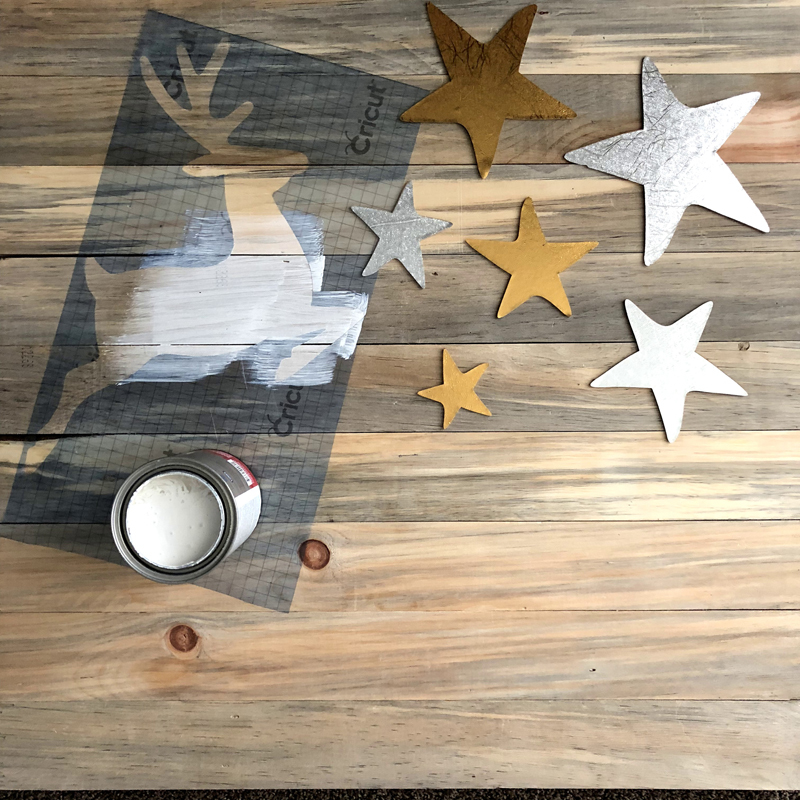 Simply cut out your stencil in vinyl – for smooth wood, I use the stencil vinyl, and for rougher surfaces, I use a black removable vinyl as the stick is a little firmer. If you’re doing multiple things, you can reuse the stencil, but I recommend letting it dry in between each application so you don’t get smudge marks. Once again though, a little sandpaper can help you take those right off. It’s harder on textured wood surfaces because you could also take off some of your texture. Voila! Here’s your final look!